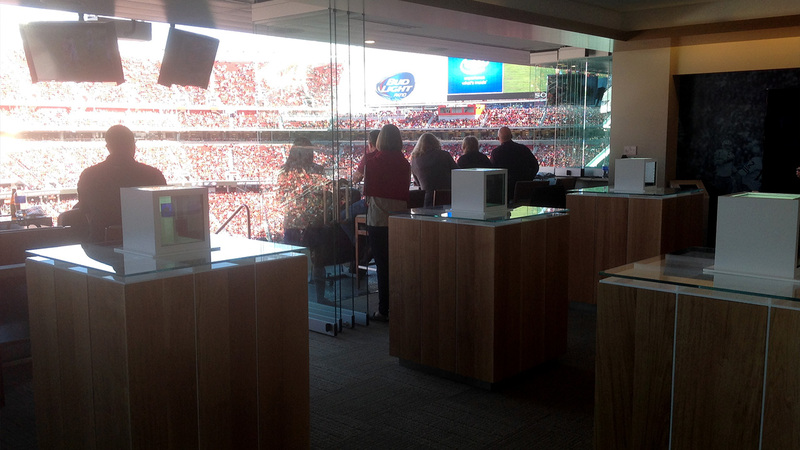 As part of their sponsorship of the San Francisco 49ers and Levi’s Stadium, the world’s most technologically advanced sporting arena, SAP commissioned vStream to devise a series of interactive experiences for VIP guests and fans on game day. 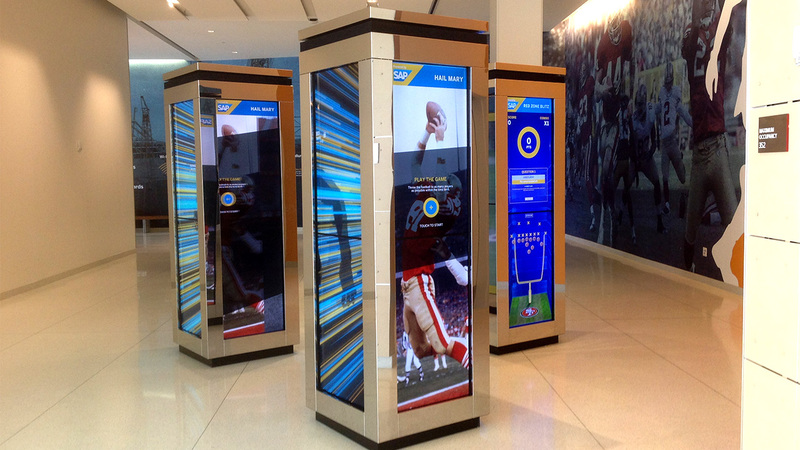 The brief was to use innovation to create never before seen activations, to showcase SAP’s technology in the capital of the software world, Silicon Valley. 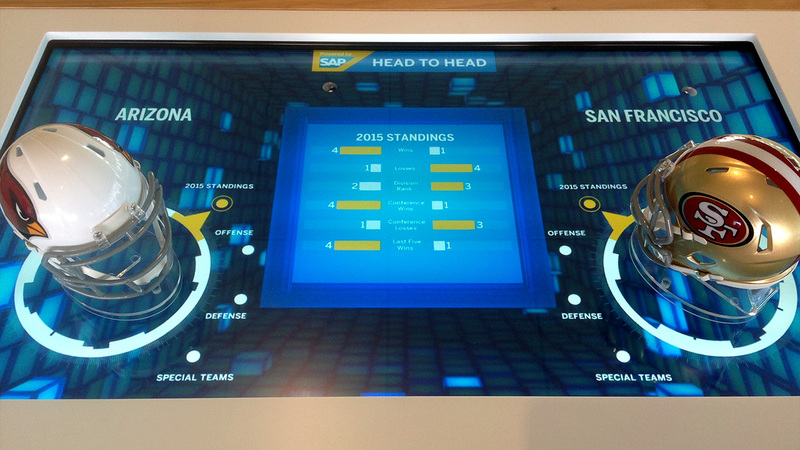 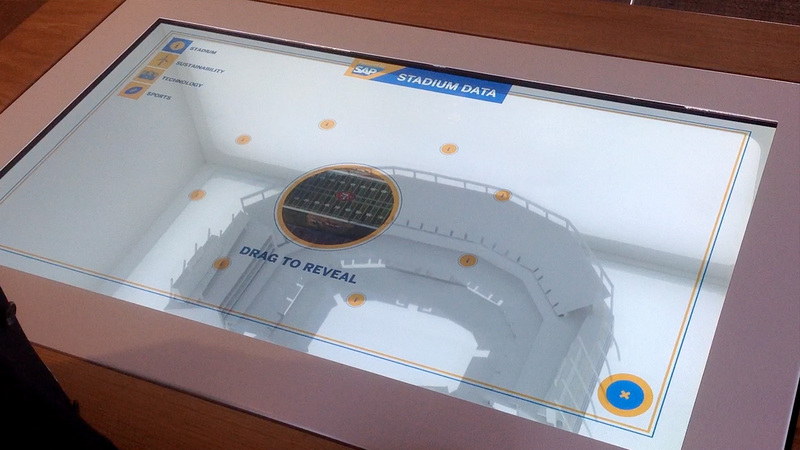 Built on SAP’s in-memory database, HANA, vStream created a series of interactive experiences to tell the story of how SAP’s real time data processing capabilities help NFL teams to excel. 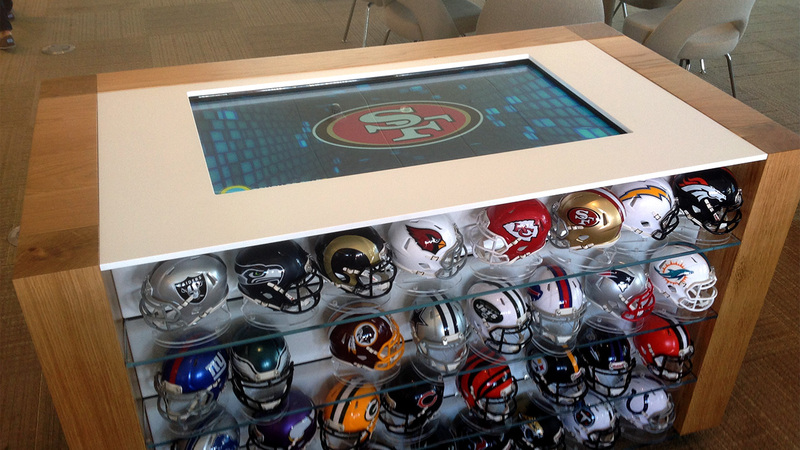 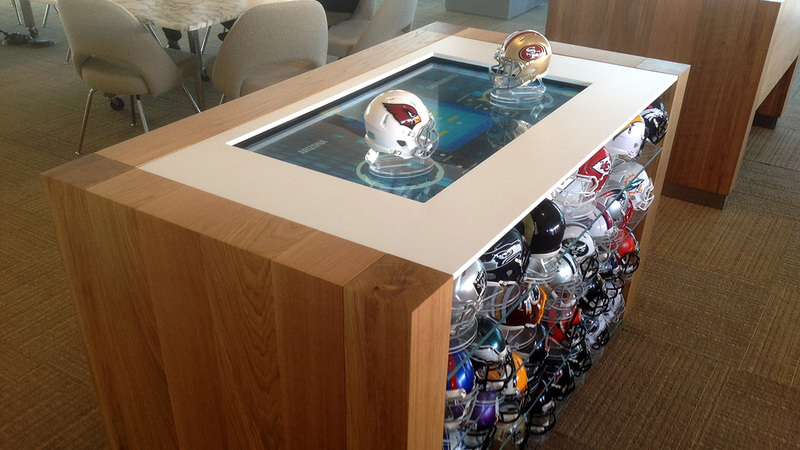 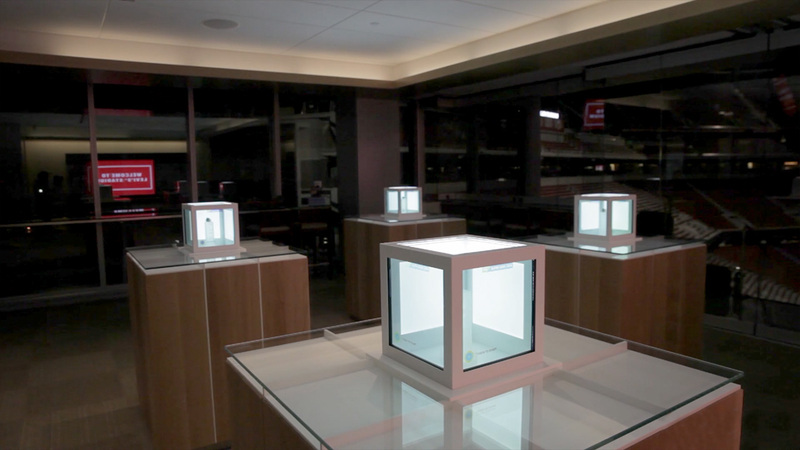 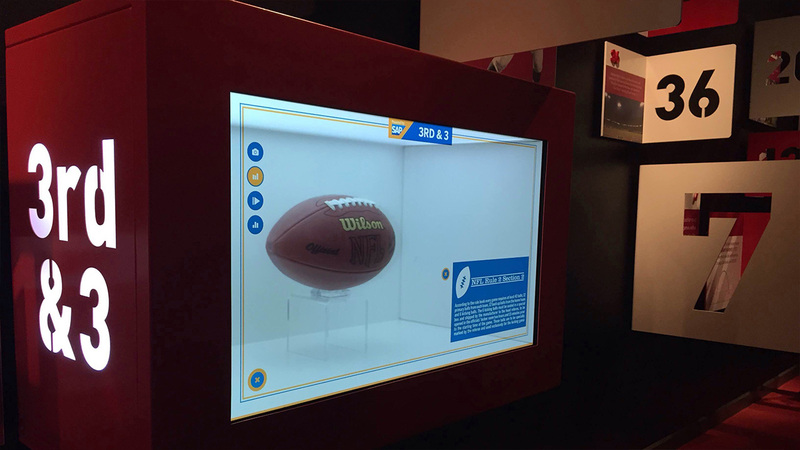 Visitors to the 49ers museum can interact with artefacts from the team’s history in interactive transparent display cases. 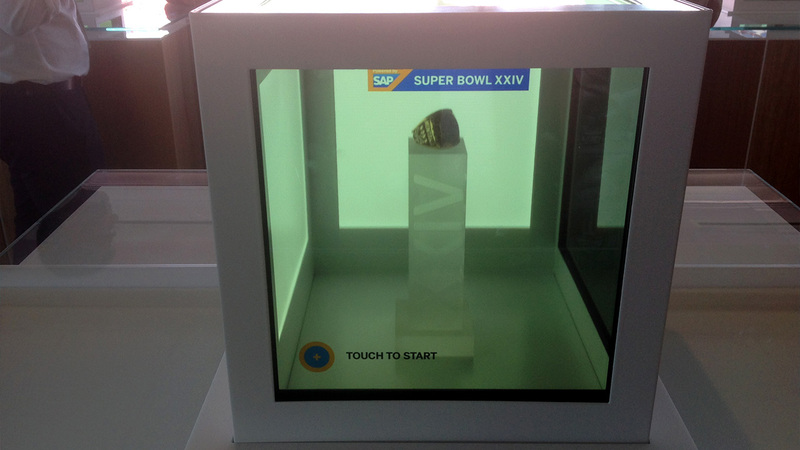 With custom built furniture housing transparent touch screen displays, object recognition tables, augmented reality glasses and switchable glass, corporate guests of SAP at Suite 501 can engage in a truly groundbreaking series of activations which showcase SAP’s innovative technology.